Berry Plastics Celebrates Multiple Printing Awards from Flexographic Technological Assoc. The entries were judged by degree of difficulty and level of execution. 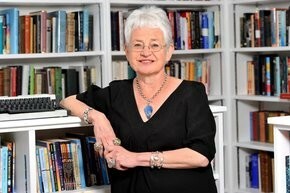 We are just thrilled to announce that the former Children’s Laureate, one of the nation’s favourite authors and a writer with as strong a claim as any to the title of “National Treasure” – Dame Jacqueline Wilson – will be judging the published categories of the 2016 V&A Illustration Awards. Alongside Dame Wilson will be: Patrick Burgoyne, editor of the Creative Review, and Annabel Judd, the V&A’s Director of Design. The Student Illustrator of the Year category will also be judged by two leading industry experts: Ruth Prickett, editor of Illustration Magazine and Rafaela Romaya, Artistic Director at Canongate Books. Over the years, Illustration Magazine has championed Student Illustration in the UK through its ‘Graduates’ column, showcasing emerging talent from the UK’s art schools. Rafaela Romaya is an award-winning designer whose collaboration with the illustrator, Yehrin Tong on The Book of Strange New Things, won the 2015 V&A Illustration Award for Book Cover Design.